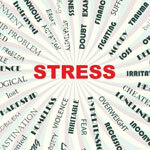 Prevent the negative effects of stress and enhance the body's response to stress. Some of the most effective adaptogens are ginseng, rhodiola, lavender, and ashwaganda. This article focuses on ginseng. Both Siberian and Chinese ginseng have been shown to enhance our ability to cope with various stressors, both physical and mental. Presumably this anti-stress action is mediated by mechanisms that control the adrenal glands. Ginseng delays the onset and reduces the severity of the "alarm phase" of the body's short- and long-term response to stress (also known as the general adaptation syndrome). People taking either of the ginsengs typically report an increased sense of well-being. Clinical studies have confirmed that both Siberian and Chinese ginsengs significantly reduce feelings of stress and anxiety. For example, in one double-blind clinical study, nurses who had switched from day to night duty rated themselves for competence, mood, and general well-being, and were given a test for mental and physical performance along with blood cell counts and blood chemistry evaluation. The group that was given Chinese ginseng demonstrated higher scores in competence, mood parameters, and mental and physical performance compared with those receiving placebos. The nurses taking the ginseng felt more alert, yet more tranquil, and were able to perform better than the nurses who were not taking the ginseng. In addition to these human studies, animal studies have shown the ginsengs to exert significant anti-anxiety effects. In several of these studies, the stress-relieving effects were comparable to those of diazepam (Valium); however, diazepam has side effects that include behavioral changes, sedative effects, and impaired motor activity, while ginseng has none of these negative effects. On the basis of the clinical and animal studies, ginseng appears to offer significant benefit to people suffering from stress and anxiety. Chinese ginseng is generally regarded as being more potent than Siberian ginseng, and is probably better for the person who has experienced a great deal of stress, is recovering from a long-standing illness, or has taken corticosteroids such as prednisone for a long time. For the person who is under mild to moderate stress and is experiencing less obvious impairment of adrenal function, Siberian ginseng may be the better choice. If you suffer from stress-related symptoms, it's a good idea to try a natural remedy such as ginseng, which is easier on the body than pharmaceutical drugs and doesn't have the harmful side effects.